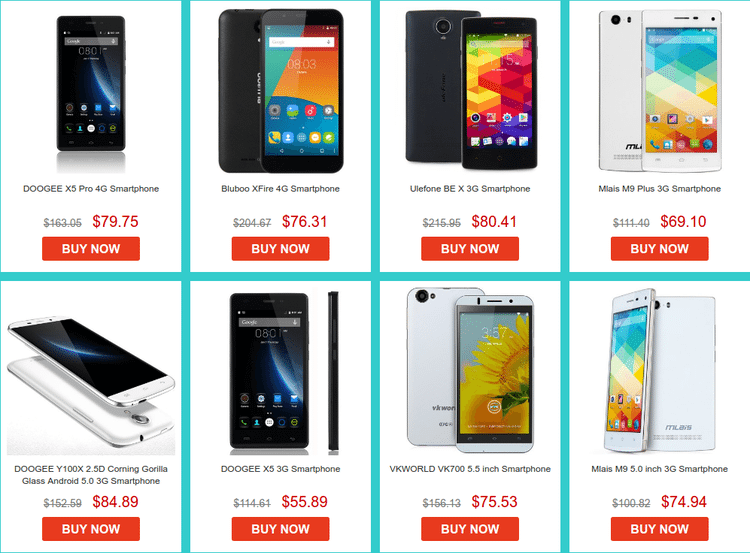 Each month, the international e-shop GearBest update their offers on Android phones. 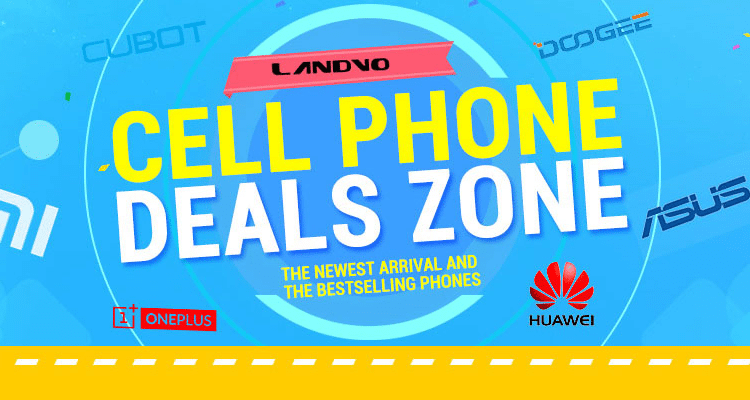 We will find deals on well-known brands, such as Xiaomi, Lenovo, and Asus, as well as lesser known Homtom, Doogee, and Bluboo. 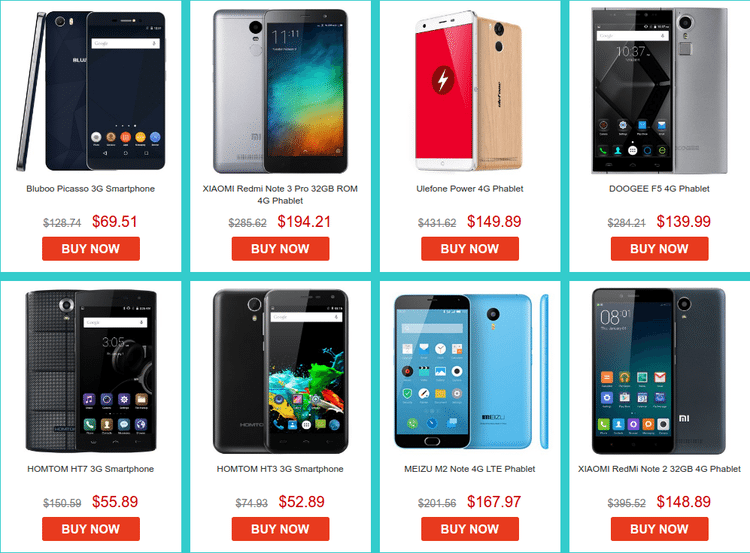 Check out the best smartphone deals of the month on Gearbest. 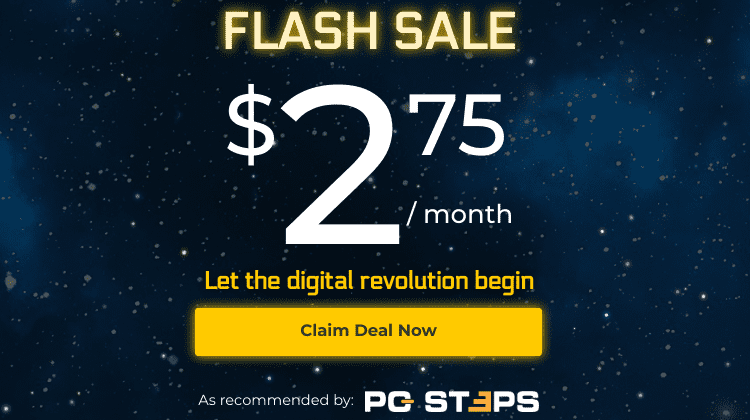 Did you find a good smartphone deal from GearBest? On the first section of the deals page, we find some of the best-selling models on GearBest. Two models that stand out are the Xiaomi Redmi Note 2 and the newest Xiaomi Redmi Note 3 Pro . The Redmi Note 2 comes with an eight-core MTK Helio X10 64bit 2.2GHz CPU, 2GB RAM, and a 5.5-inch display with a Full HD 1920x1080 resolution. The Redmi Note 3 migh have a six-core processor, but it is the more powerful Qualcomm Snapdragon 650. We will also find 3GB RAM, and a 5.5-inch Full HD screen. If we are on a tight budget, Homtom HT3 is on a promo sale for the next few hours, and finding another sub-$55 smartphone with 1GB RAM is not an easy task. For any of us who need plenty of RAM at a reasonable price, Doogee F5 is equipped with 3GB RAM and an IPS display. 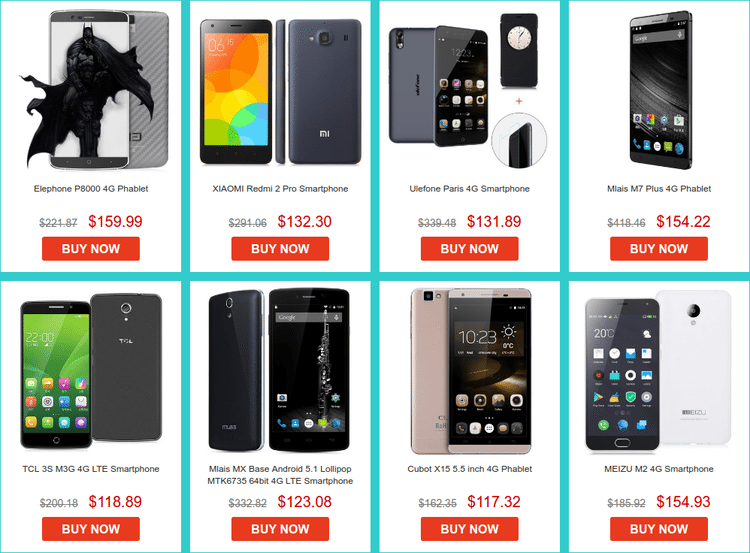 The low-budget smartphone section features largely unknown brands. Due to high demand, however, most of the models are out of stock, and the lower-priced selections from the Best-Seller section cover this category. In the mid-priced section, we will find models with increased capabilities and better design. The Elephone P8000 is one of the best choices; the eight-core CPU and 3GB RAM make it a particularly powerful smartphone for its price range. If you are bored of black, white, and gray smartphones, Cubot X15 is available in "champagne". Technically speaking, it isn't anything exceptional, with the MTK6735 quad-core processor and 2GB of RAM, but it has a look that might turn a few heads. 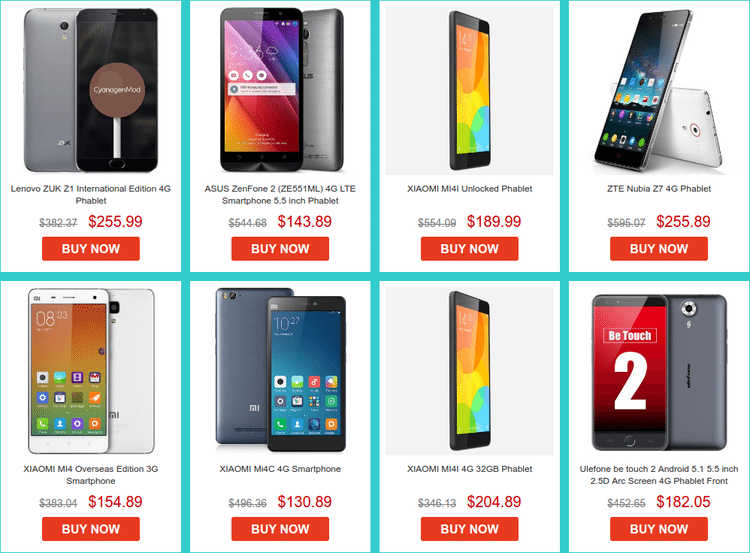 In the upper class of the GearBest deals, we find more recognizable brands, such as Lenovo, Asus, and ZTE. Unfortunately, since the page was updated on July the 1st, models like the Lenovo ZUK Z1 with Cyanogen OS are currently out of stock, and the same goes for the Asus ZenFone 2. Even the ZTE Nubia Z7 has limited pieces in stock, and they might soon be exhausted. If you found a good deal, and if you were pleased with your purchase, leave us a comment.